I've been editing this photo for the past half an hour and now I super hungry!!! so catch you later!!! Ha ha... indeed that was very good! I remember it even now. 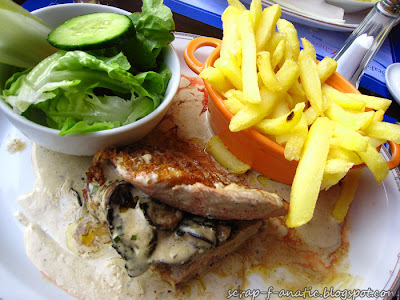 Lunching in Calais, France. Duck breast with mushroom and foie gras sauce... Yummi!